Exclusive to this collection is the image 'Meeting Place' which was inspired by the Isle of Man. 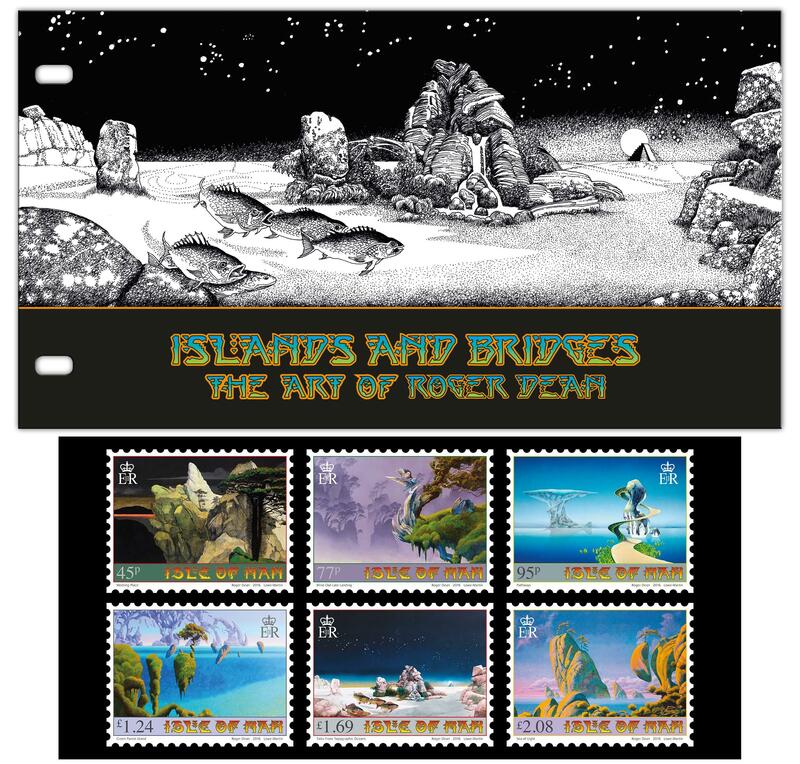 These captivating stamps are perfectly showcased in this deluxe glossy four page presentation pack which is packed with engaging issue text which gives great insight into the amazingly varied work of Roger Dean. • 45p - Meeting Place - painting inspired by the Isle of Man. • 77p - Blind Owl Late Landing - artwork for the Blind Owl album, to be released. • 95p - Pathways - cover artwork for the Yes triple album Yessongs. • £1.24 - Green Parrot Island - from Yes - The Studio Albums 1969-1987 box set. • £1.69 - Tales From Topographic Oceans - Yes album cover. • £2.08 - Sea of Light - from the Uriah Heep album of the same name.